For Environment health and safety compliance, waste management is necessary to which is generated from various manufacturing process & in used of process to produce product or supporting process. 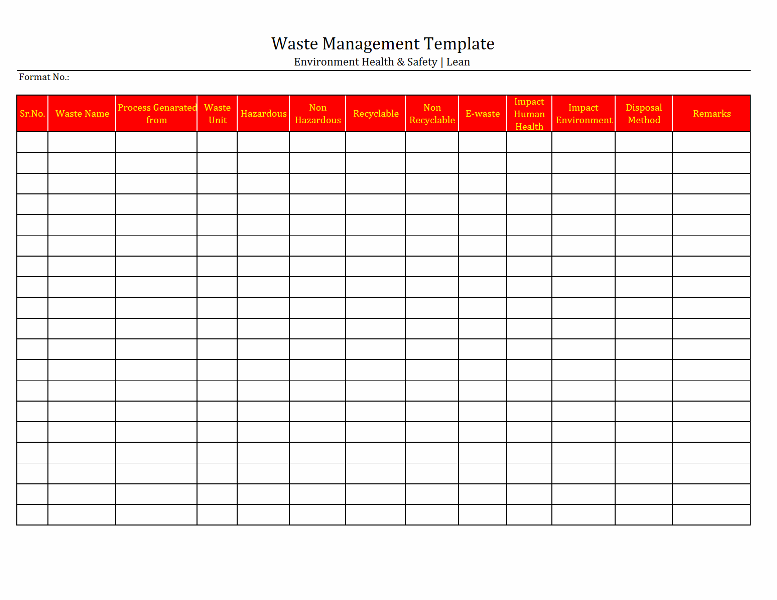 Generally waste management’s primary step is identification of waste, waste can hazardous or non hazardous, recyclable / non recyclable etc… Generated Scrap from control panels or any electrical appliances waste are count in e-waste ( Electronic Waste) this e-waste is hazardous material hence its also need to controlling and disposal required as per OSHA guideline. Waste management system is also clubbed with some successful system viz… lean management system, MFCA (Material flow cost accounting), 3R etc… , these systems are focus on the waste management, reduction in waste from manufacturing process and others production parts, hence the waste management is not only system but it today requirement of companies who want to reduce depreciation of natural resource and cost controlling on its manufacturing unit.